If you're ready to take the plunge into chroma key photography--photographing a person against a background of solid blue or green and then digitally inserting a different photo in the background (say, a beach in Mexico, or the Eiffel Tower)-- then the Impact EX100 Ultimate Creative Portrait Kit (120VAC) may be just what you need. 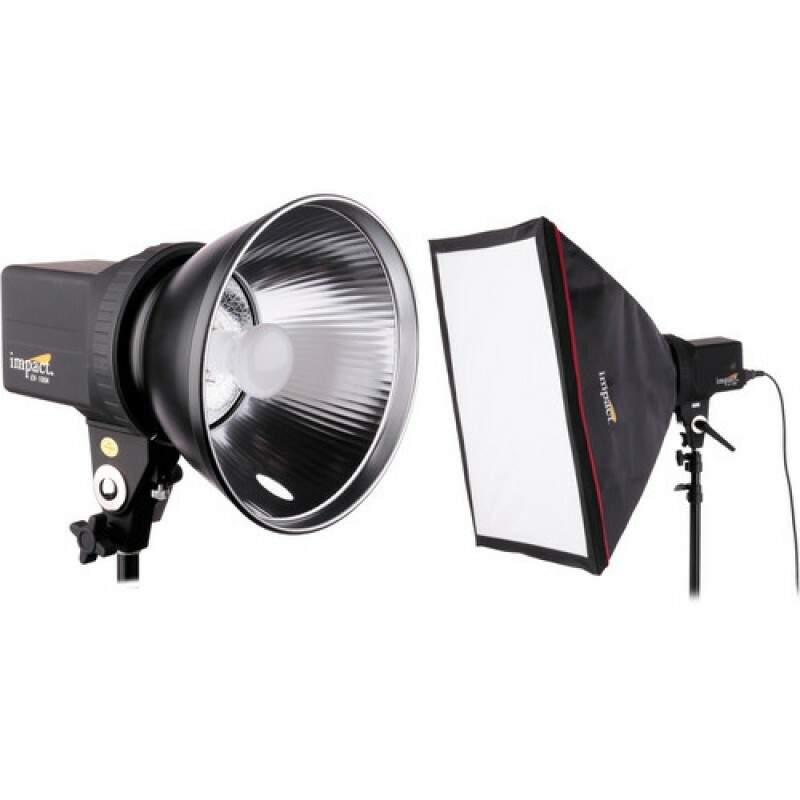 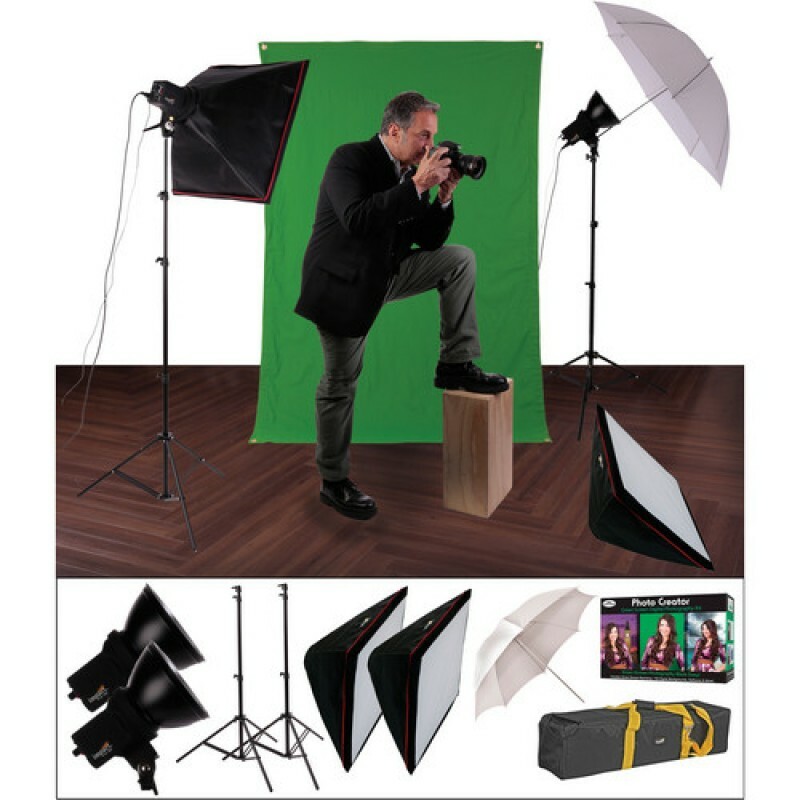 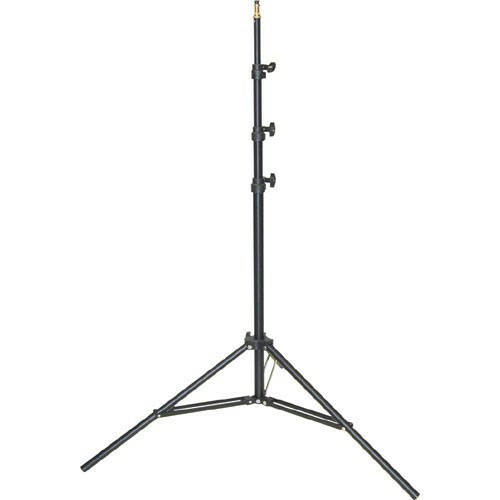 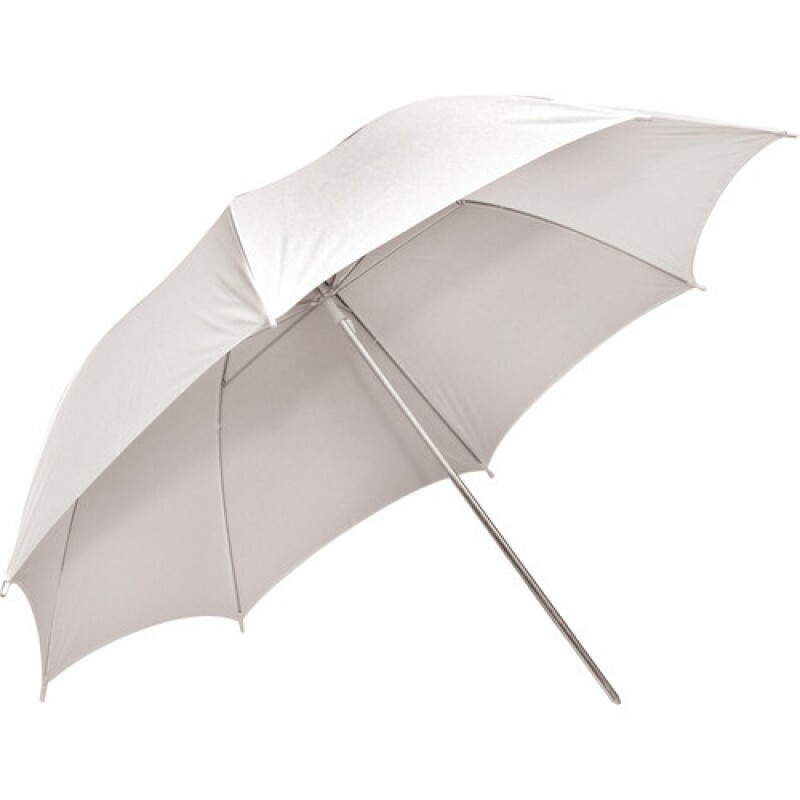 It combines two basic one-monolight (100Ws) kits, each including one light stand and one 24 x 24"" (61 x 61 cm) softbox, with one white umbrella and a green screen photo kit including a 5 x 7' (1.5 x 2.1 m) chroma green background (with grommets and hooks for hanging the screen) and software that automatically removes the green background. 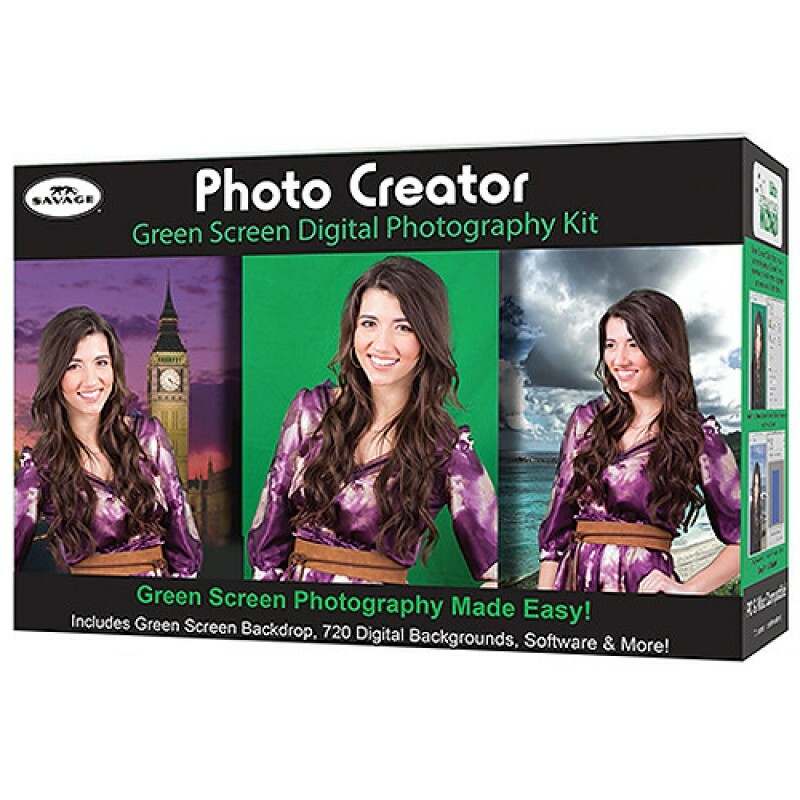 The software then allows you to simply drop in a distant locale or landmark background that places your subject far from where you took the photo. The software includes 720 digital backgrounds to choose from. 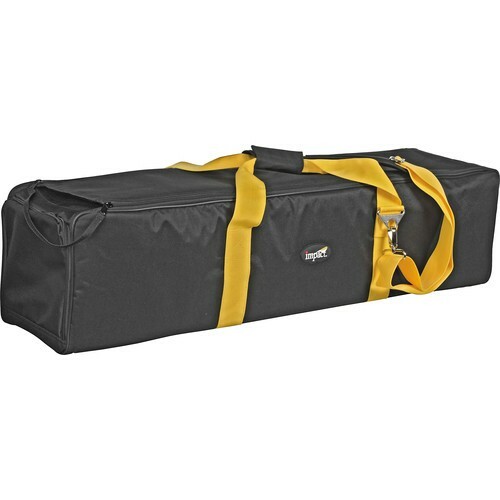 A kit bag is also included for storage and transport. This kit is supplied for use with 120VAC.